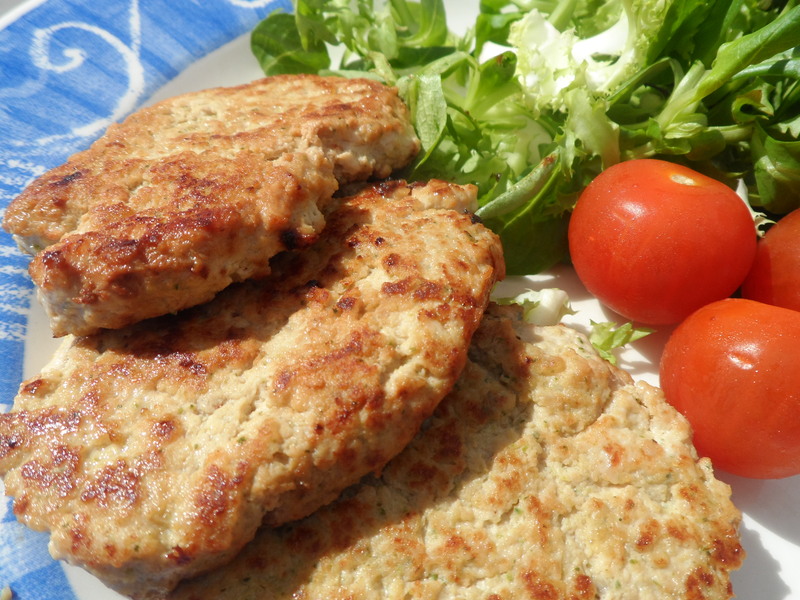 Courgette & ginger turkey burgers. I’m butter’s biggest fan. It’s no secret. Well, not since my waistline decided to advertise the fact. My road to summer is going to be one filled with salad and fruit. Yes, I’m going to do my best to eat better, so that I can spend my summer days eating in true Last Piece of Cake style. I’m still going to post recipes that hit the right spot, but just to mix things up, check out what’s been on my menu recently. I’m sharing a recipe that has a real summer freshness about it and I think I’ll be rustling up these courgette and ginger turkey burgers while the sun’s out. Okay, it’s not a peanut butter or chocolate fest and you won’t find any melted cheese around, but trust me when I say that these burgers will take you down to flavour town. It couldn’t be easier. Put everything except the turkey mince in a food processor and blitz to a puree. In a bowl, pour the puree over the turkey mince and combine everything thoroughly; I use my hands for this part. The water content of the courgette is high, so you may find that the mixture is not very firm. I used a large spoon to drop the turkey burgers into a frying pan containing hot oil; the mixture was too loose to handle. It’s easy to shallow fry these burgers and press them flat with a fish slice once they’ve been turned once. Towards the end of cooking, press them firmly to release excess moisture. They only take a few minutes each side and you can get around ten little patties out of this recipe. They’re great with a crisp salad or in buns with mayo and sweet chili sauce. I will raise you as my own. The English have big love for pies. 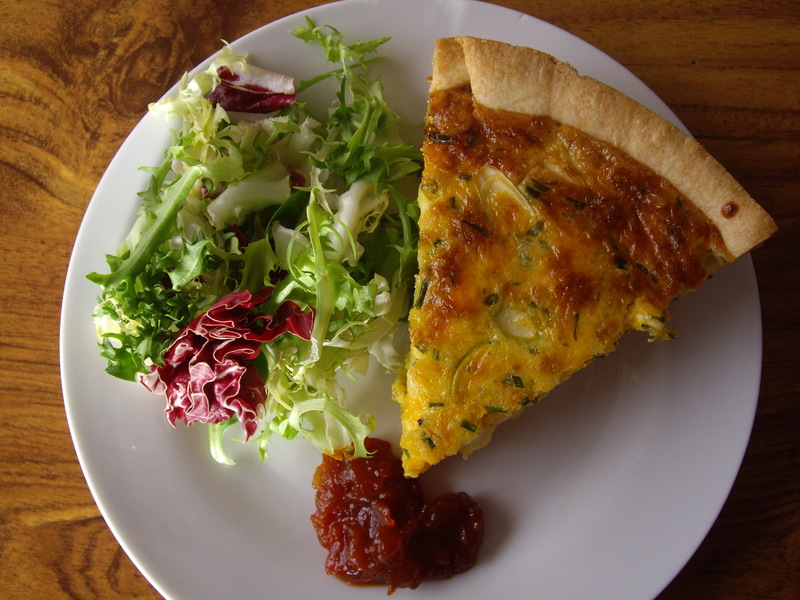 Sweet or savoury, pies are well represented on English plates. I’ve made fruit pies sprinkled with sugar and I’ve made pies filled with meat and gravy, but I’ve never attempted a pork pie. 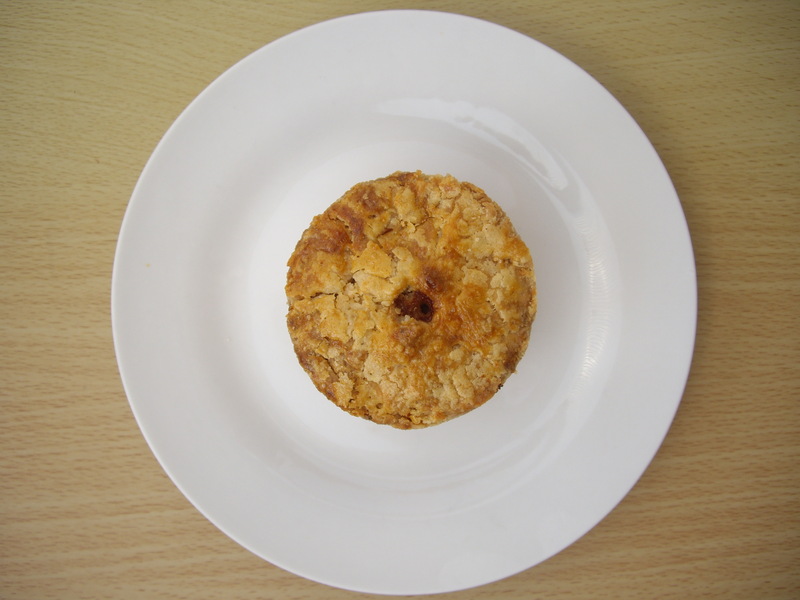 The classic buffet and picnic pie of choice for the English has always been something of a mystery to me. Probably made by wisened old artisans whose knowledge of pie-making has been inherited and protected with the kind of secrecy alluded to in low-brow Templar fiction. Or are they mass-produced vehicles for the less palatable parts of a pig? It was time to learn something new and in the process, perhaps make something special. First of all, what’s the appeal of a good pork pie? The pastry is special. 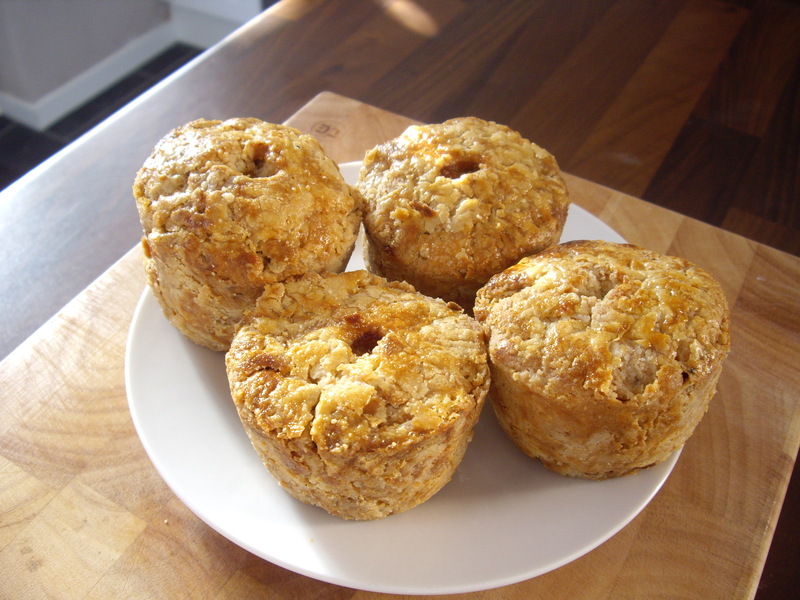 A golden brown with an attractive glaze and a crumbly promise of savoury comfort. 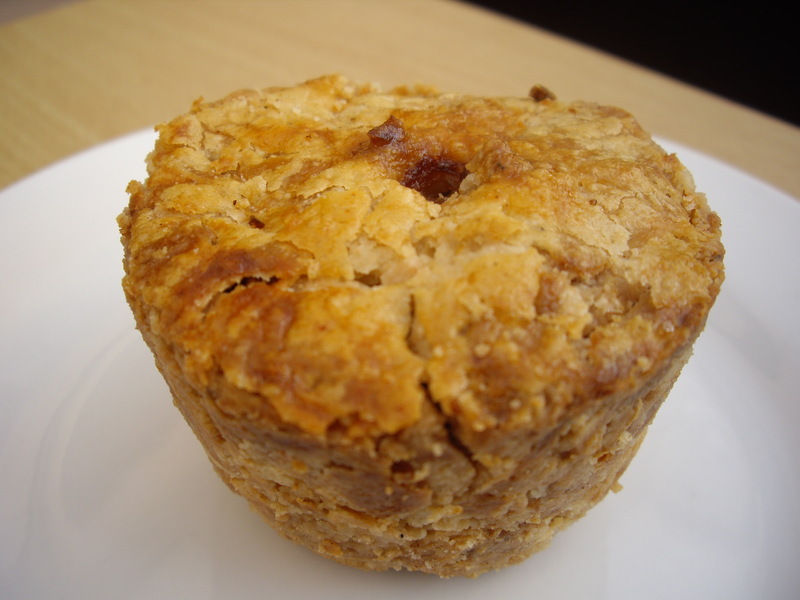 Okay, too poetic, but pork pies are made with a hot water crust that contains lard. 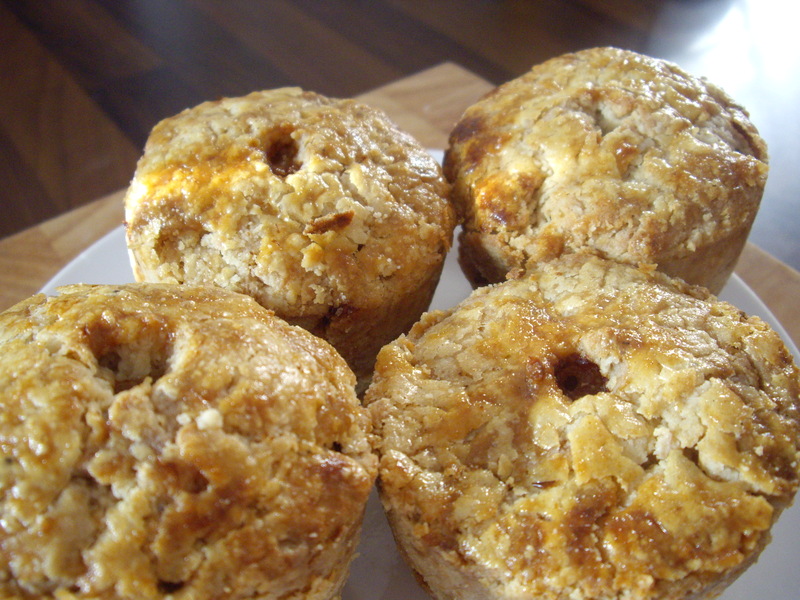 This makes it tasty and gives it a wonderful texture upon baking. 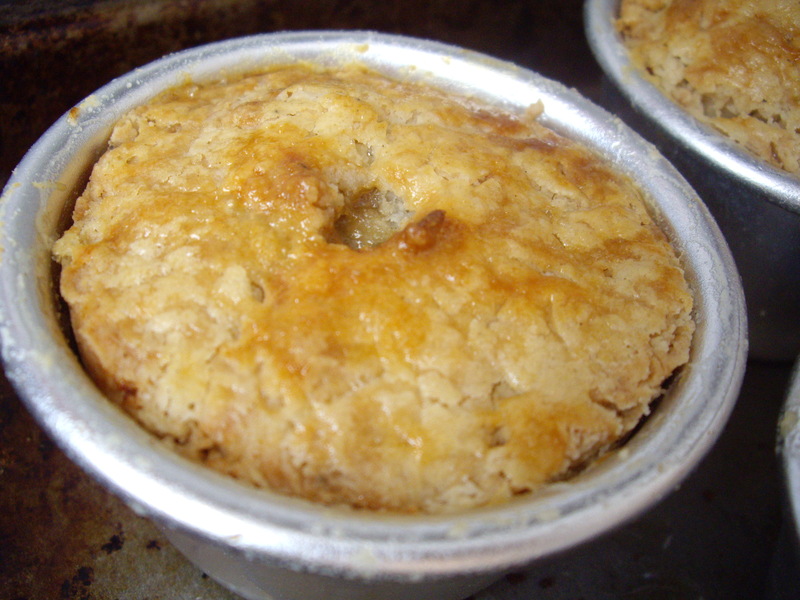 The pastry is pressed against the sides of whatever it is baked in to form walls. The walls get higher until they are ready to be filled. Raising the pastry in this way produces what is known as a hand-raised pie. 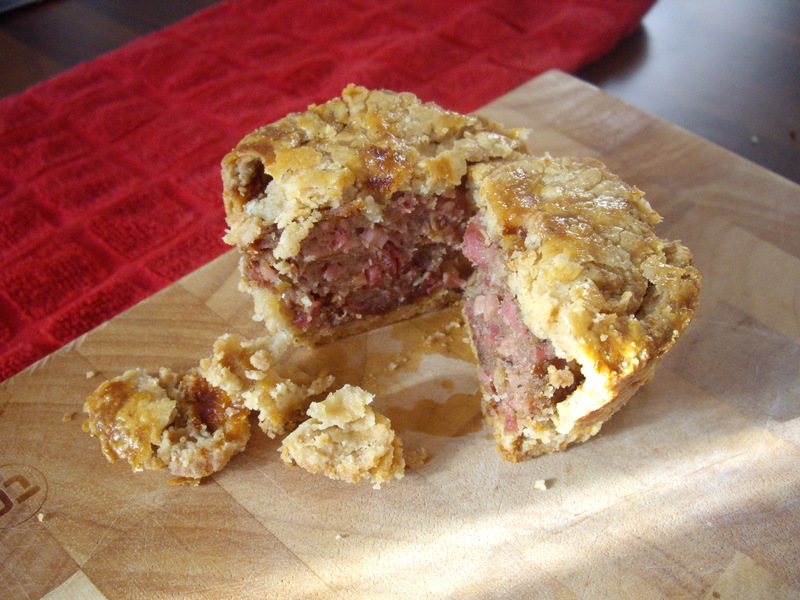 Secondly, pork pies are good when they’re hot and even better when they’re cold. Pickles, chutneys and relishes are fantastic with pork pies and the fact that their contents doesn’t ooze out makes them a perfect travel companion. I looked at a few online recipes for the pastry before I attempted to make it. In the end, I chose to use Delia Smith’s recipe for the pastry. The contents of the pie, however, were a very successful little experiment and as I type, I’m finding it very difficult to contain my pride. If you want a treat, go and buy a Melton Mowbray pork pie. If you want to experience the joy of creating something tasty and beautiful (in the most rustic of ways), then it’s about time you made your very own hand-raised pork pie. 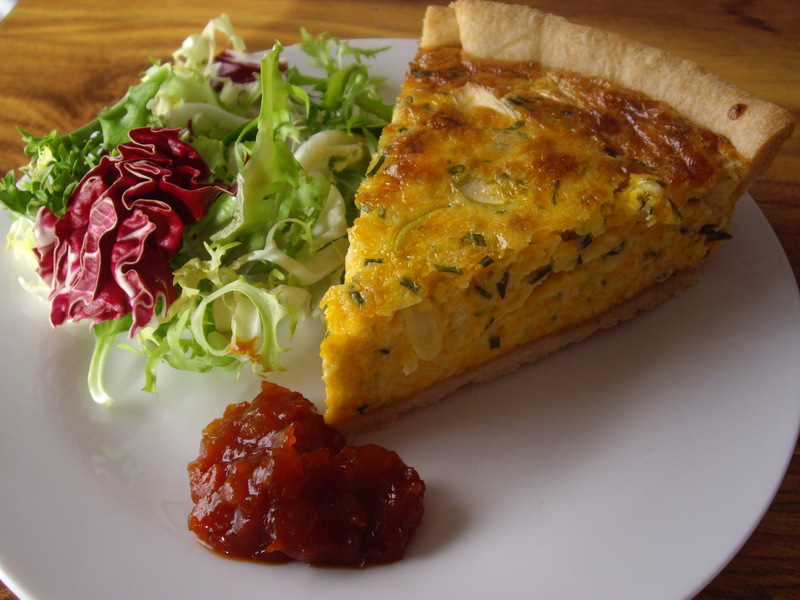 It’s best to make the filling first so that you can work quickly with the pastry before it dries out. I fried the bacon until crispy and then mixed it with the rest of the ingredients until well combined. If you want to check the seasoning, you can fry a little of the filling and taste it once cooked. As in Delia’s recipe for the pastry, begin by heating the milk and lard in a pan. Add 25ml of water and bring everything just to the boil. 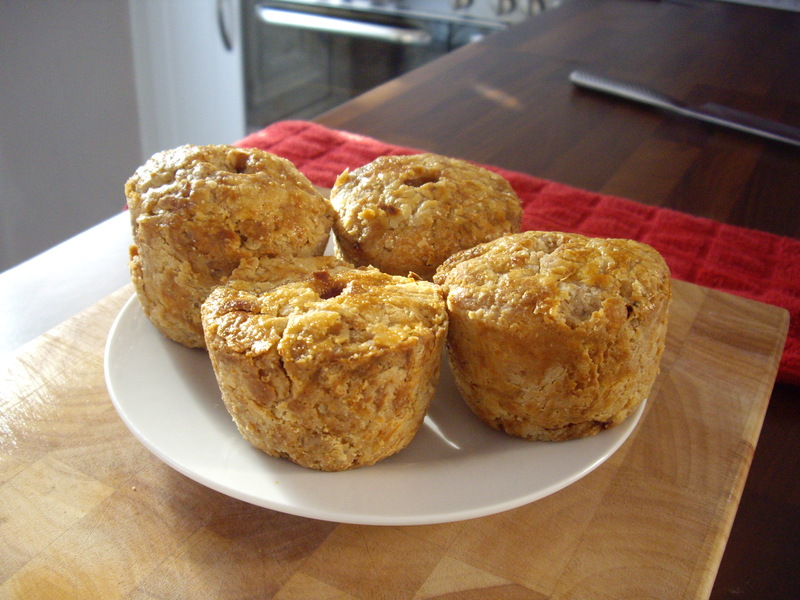 Pour it into a bowl containing the flour and use a wooden spoon to combine everything. Now it’s time to build up the pastry crust ready to be filled. I used little stainless steel pudding moulds. I pressed a little ball of pastry into the base and began adding more pastry and forming the sides of the pie. 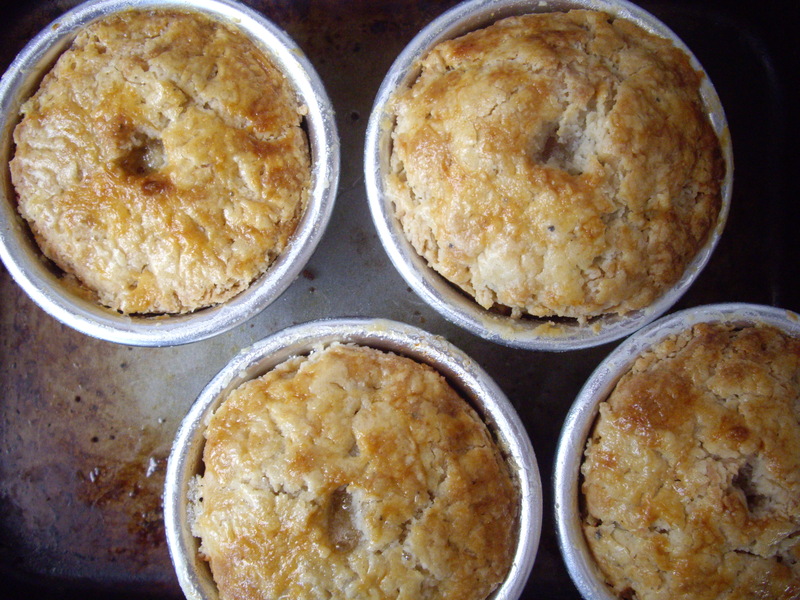 When I got to the top, I overlapped the edges and filled the pies with the filling, making sure that I pressed down firmly using the back of a spoon. Once level, I folded the edges of the pastry in and made a little hole for steam to escape through during baking. 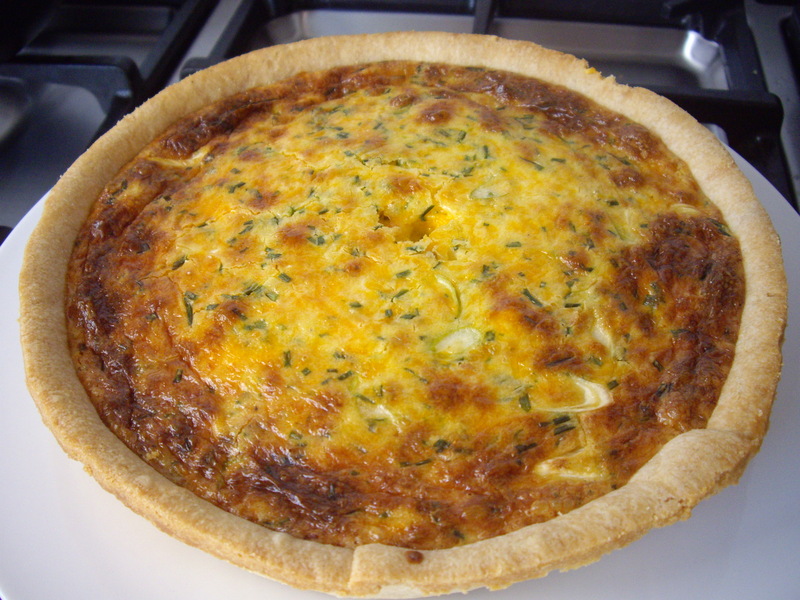 I used the beaten egg yolk to glaze the top of each pie before sliding them into the oven at 180C for half an hour. I then carefully removed the pies from the molds, glazed the sides with more yolk and put them back on a baking tray to finish in the oven for another twenty-five minutes. This made the crust golden and firm. The pie filling looks quite pink in the photographs, but this is just the bacon. I can assure you that the pies were firm and fully cooked through. 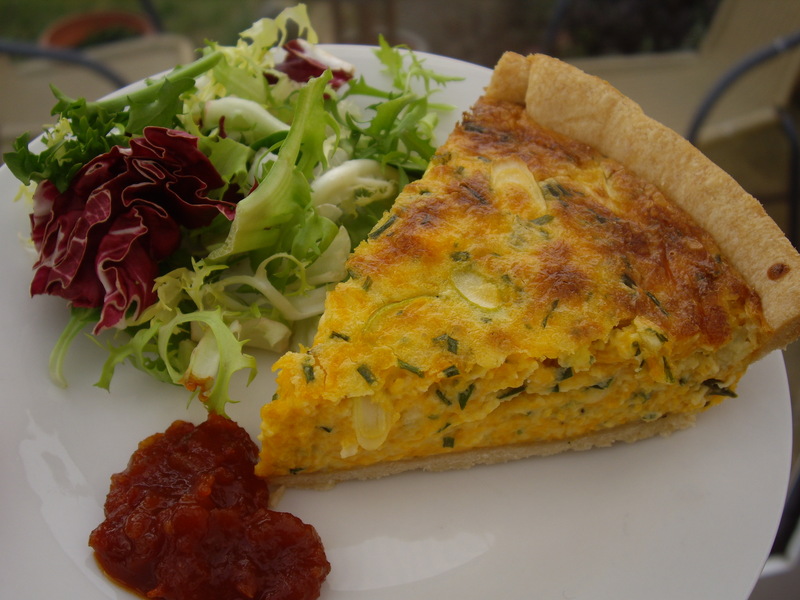 Their spicing was just right and the crumbly pastry was delicious. I ate mine with lots of Branston pickle. One thing’s for sure, I’ll be making these at Christmas and serving them with lots of chutney, cheese and some strong red wine. Then in the spring, they’ll be coming with me to the beach and the park for some picnic action. All in all, I’m glad I tried my hand at making these. You will be too!